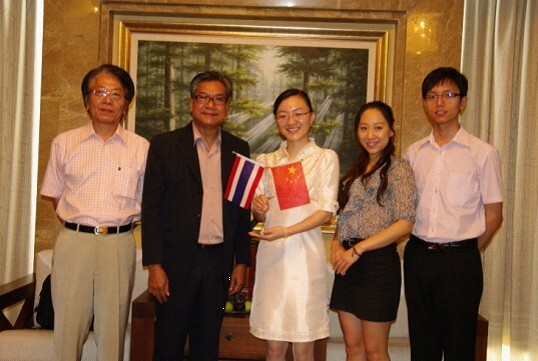 June 29, 2011, the Prince of Thai royal family, visited SBM with Thai Chamber of Commerce. After having visited the Exhibition Hall and Industry Park, the Prince made a thorough discussion about Thai mining industry’s development and future cooperation with SBM. During the conversation, Prince gave a high evaluation about the current state of development of SBM. He said he also had many years of research experience in mining machinery. Seeing SBM today, he still learned a lot. Some of these technologies have not yet been seen in Thailand. SBM’s R & D team have come to the leading place in the world. He also looked forward to sharing views with SBM to promote faster and better development. Ms. Zhou, Manager of SBM Trade Centre, said: "Through the talk, we have a more detailed understanding of the broad market prospects in Thailand. Thailand is one of the most important countries for SBM. For the current state of cooperation between China and Thailand in mining industry, we hope that this exchange can speed up the process. "